Uttam Blastech is a professionally managed organisation that has been offering endtoend solutions on mining, infrastructure & construction, since 2000. Having delivered on complex assignments across verticals in mining and excavation, Uttam consistently deliver the most effective solutions to meet the customer needs within budget and time. At Uttam, we strive to offer economically viable, environmentally sustainable and legally compliant solutions without compromising on the values of quality, safety and business ethics. This includes making available the latest technologies to our clients and customers, which has helped us emerge as a pioneering name in our field through constant and continuous updating of our technological and managerial strengths. Our approach to solving your challenges requires precise definition of the clients’ problems, translation of the same into technical and financial terms, and mobilization of the most competent resources to provide quality cost effective solutions. A graduate in Mining Engineering (Associated Member of the Institution of Engineers in Mining Engineering) (AMIE) and an M.B.A. in finance, Mr. Srikant V. has more than 3 decades of experience in small scale mining, explosives manufacturing, blasting and management. He is also a recipient of merit scholarship awarded by the Government of India and has authored papers on various miningrelated topics in national and international fora. mining, controlled blasting and implosion of buildings using explosives. He holds a record in Guinness Book of Records for imploding the maximum number of buildings. 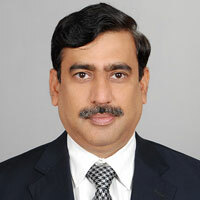 He is on the boards of M/s Vijaya Stones Pvt Ltd, Hyderabad, and Uttam Blastech Pvt Ltd, Hyderabad, and is the Secretary of Indore Chapter of the Institution of Engineers (India). 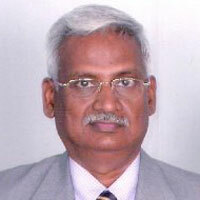 A former Professor & Head, Chairman BOS (Board of Studies) Geology Dept., Osmania University, Hyderabad, Dr. R. Pavanaguru holds a distinction in M.Sc. 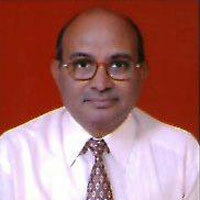 Geology (class of 1972) and completed his Ph.D. from Osmania University. He was also awarded Junior Research Fellowship at CSIR. Later, he joined Geological Survey of India in 1975 as Geologist and was involved in assessment of the Goan iron ore deposits. He is currently a Consultant Geoscientist for assessment of different economic mineral deposits and their associated issues.